The 4th of July is this weekend. I thought it would be fun to make something to decorate for the 4th and I have been wanting to try making a mason jar cover for a while. 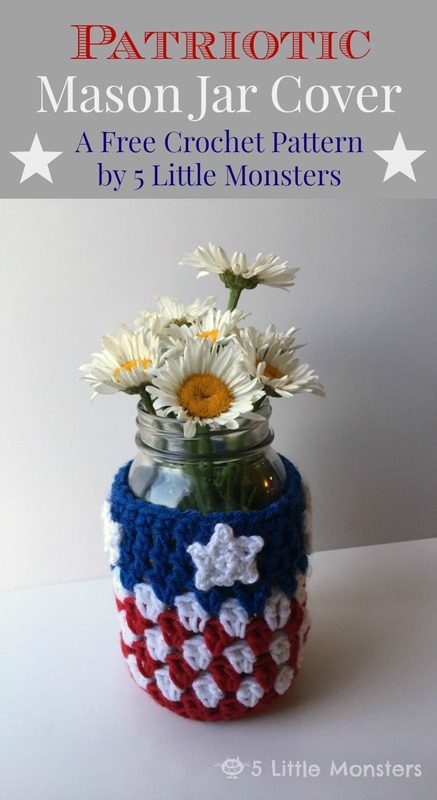 I thought, why not combine those two things and crochet a patriotic mason jar cover. I thought it would be a cute and festive decoration or centerpiece with some flowers inside. I made it to fit a quart size jar that I had and picked some daisies from my yard to stick in it. I have been wanting to make a crocheted pillow cover for a while and I finally got it done. I recently had the opportunity to start working with Fairfield World as one of their Master Makers and they provided me with some supplies to work with. One of the things that I got from them were some pillow forms. I figured it was the perfect time to finally make a pillow. I had a couple of skeins of tweedy yarn that I had picked up on clearance a couple of months ago and I really wanted to use them to make a pillow. I originally had a more complicated pattern in mind but I only had one skein of each color which was not enough for a solid color pillow so I decided to keep it simple and make a striped pillow using both colors. Last night I was talking to my husband about our blogs, we both started a blog around the same time, and he mentioned that he had recently hit his one year mark. I knew I started my blog shortly after he did so I went back and looked at my posts to see when I published my first post. It was June 24, 2014. One year ago today. It's crazy to think that it has been a whole year. I still feel like I am so new to blogging, and still trying to figure it all out. 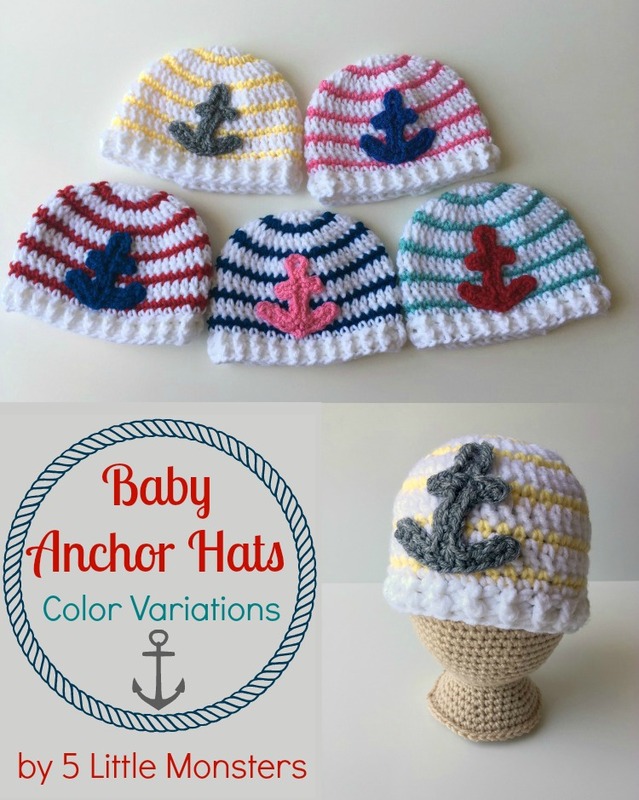 I started my blog almost a year ago and one of the first patterns that I published was a pattern for a little striped newborn hat with an anchor appliqué. I was talking to my mom the other day and she asked if I could make some little baby hats for her. She mentioned a few different hat designs one of which was my Anchor Hat pattern, and that she needed some for boys and some for girls. I thought it would be fun to try that pattern in some different colors. I originally chose the navy, white and red because it is a very traditional nautical look, but I decided to play around with the colors a little bit. I wanted to try some that were kind of girly as well as some other boyish versions. I think pink and navy can be a really cute combination and it is not that different from red and navy. I also thought it would be kind of cute to throw in some lighter blue or aqua. I ended up using some yarn I had leftover from other projects, newborn hats don't take a lot of yarn, especially for a few skinny stripes or an appliqué. We had a Harry Potter movie marathon over the past week and I was able to make several hats over a couple of night of movie watching. I always enjoy having something to work on while I watch a movie and these were a perfect easy project. 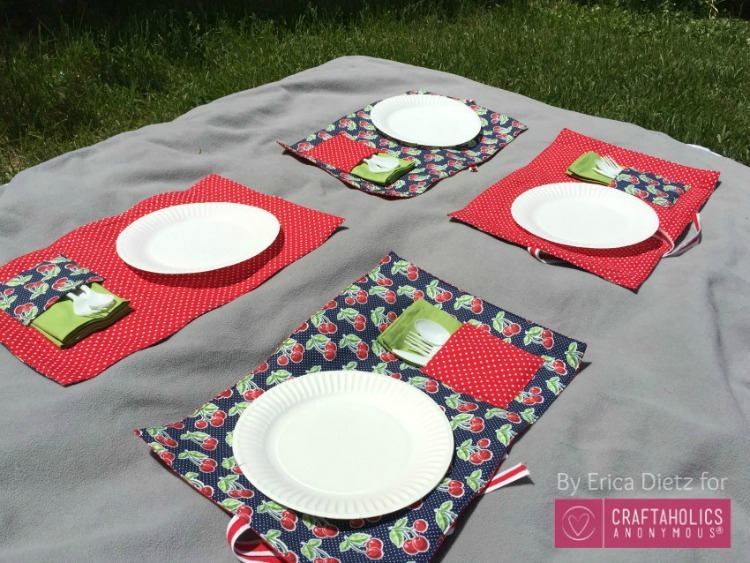 This month on Craftaholics Anonymous I am sharing a tutorial for these Roll Up Picnic Placemats. They are perfect for a summer picnic or barbecue. They have a pocket for your utensils and a napkin, a tutorial for a cloth napkin is also included, and you can roll it up and tie it closed for easy transport. To find out how to make your own picnic placemats here. I recently picked out some yarns that I wanted to try from Lion Brand Yarns. One of them was their Babysoft yarn. I chose a pretty purple shade thinking it would be perfect for a little baby sweater. I have been wanting to try designing a baby sweater for a long time. I think they are a little intimidating because of the fact that they need to be sized right, the neck needs to be the right size, the sleeve holes, the sleeves, the chest needs to fit, the length. It just seems like a lot to get right, but I have some ideas that I think would make cute little sweaters so I keep thinking that one of these days I just need to try it. I thought this would be the perfect yarn to do it with and was pretty excited to try. Then I remembered that it is June, the beginning of summer, probably the worst time to attempt a sweater. I decided that I wanted to try something a little bit more summery and maybe come back to the sweater idea in a couple of months. 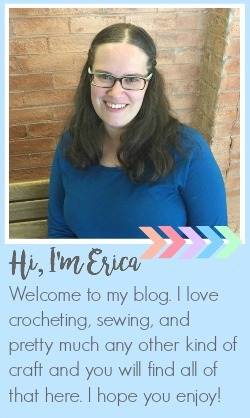 Today I am excited to be participating in a HUGE blog hop. 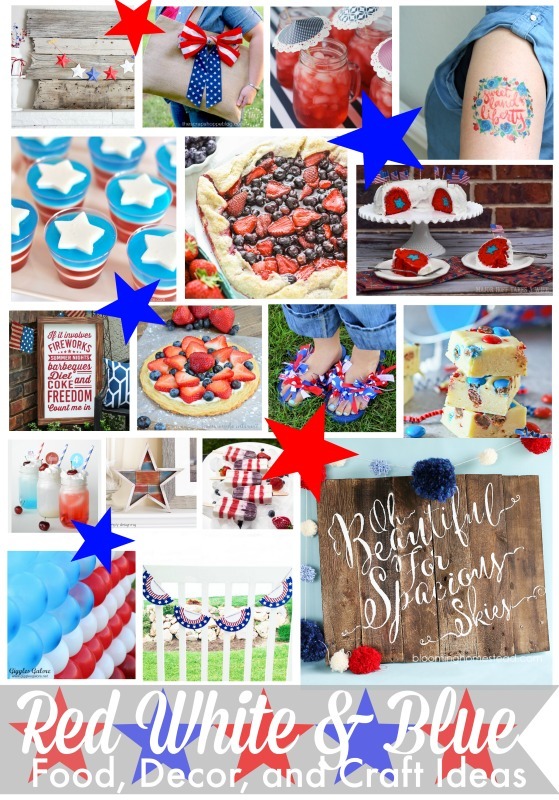 Nearly 100 bloggers are sharing red, white and blue projects today! Be sure to check out all of the great ideas to celebrate Independence Day this year. Usually I try to get my roundup posts done on Fridays so I am a little late getting this one done. I started it on Friday if that counts. This week has been kind of crazy, it was the last week of school for my kids so summer break has officially started for us. One of the first things that comes to mind when I think of summer is the 4th of July. 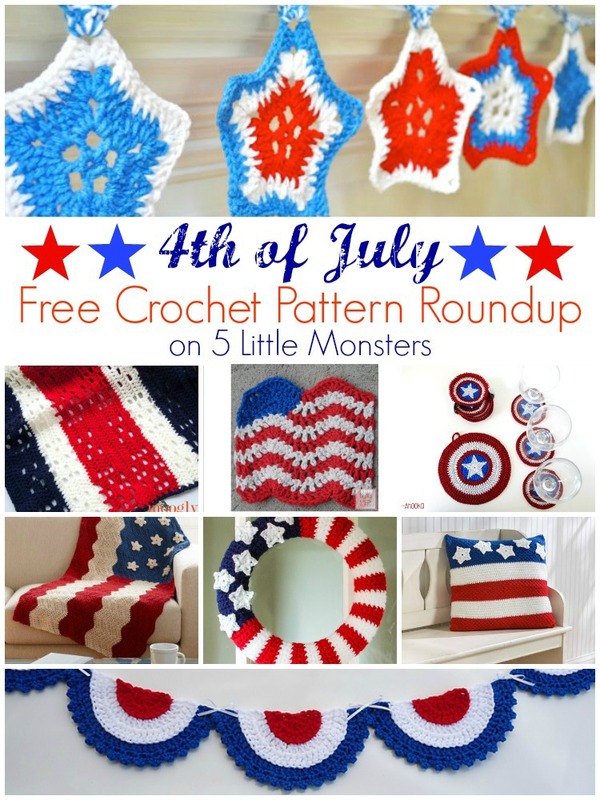 I have been working on a couple of 4th of July projects that I will share soon but in the meantime I thought it would be fun to share a few free crochet patterns that I found online. It is crazy to think that the 4th is less than a month away already, but that should be enough time to make some patriotic crochet projects. 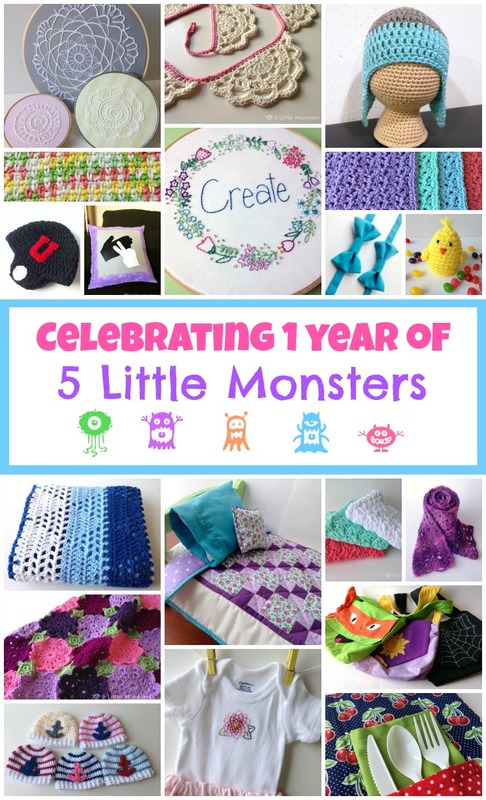 Here are 8 free patterns to celebrate the 4th of July, click the pictures or the titles to go to the patterns. A couple of months ago our newest little niece was born. For her baby shower I wanted to make a gift rather than buy one. 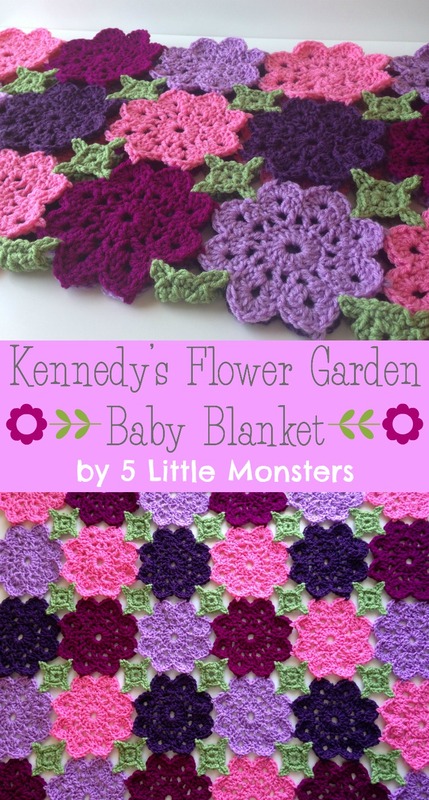 I had been thinking for a long time about trying to crochet a blanket made with flower motifs. I had a few different ideas of how to make the flowers and how to join them and what kind of layout I wanted. I had some yarn leftover from some other projects in a few different shades of pink and purple, so with that yarn and the ideas I had I played around a little and this little blanket was the result.